I'm so pleased to be invited on to the Brutus Monroe blog hop today! When you've got an "Anything Goes" theme, it's hard not to feel inspired to create! For today's card, I used some new to me shades of alcohol inks! I laid down some alcohol ink blending solution first on alcohol ink glossy cardstock, and then dropped in a few drops of each color and used my mouth to gently blow them in different directions to blend them together. I them stamped the main floral image from the Botanical Banners set with Versamark ink on to vellum paper, and then heat embossed it with Vintage Pearl embossing powder. And then I cut this image out using a coordinating die--JUST KIDDING!!! I actually just fussy cut it out, with a border, to make it look like it was a die. This is a technique I've really fallen in love with recently. After gluing the floral vellum piece on to the alcohol ink panel, I trimmed down the panel and them mounted it with foam on to a gray cut and scored 4.25 x 5.5 inch card base. 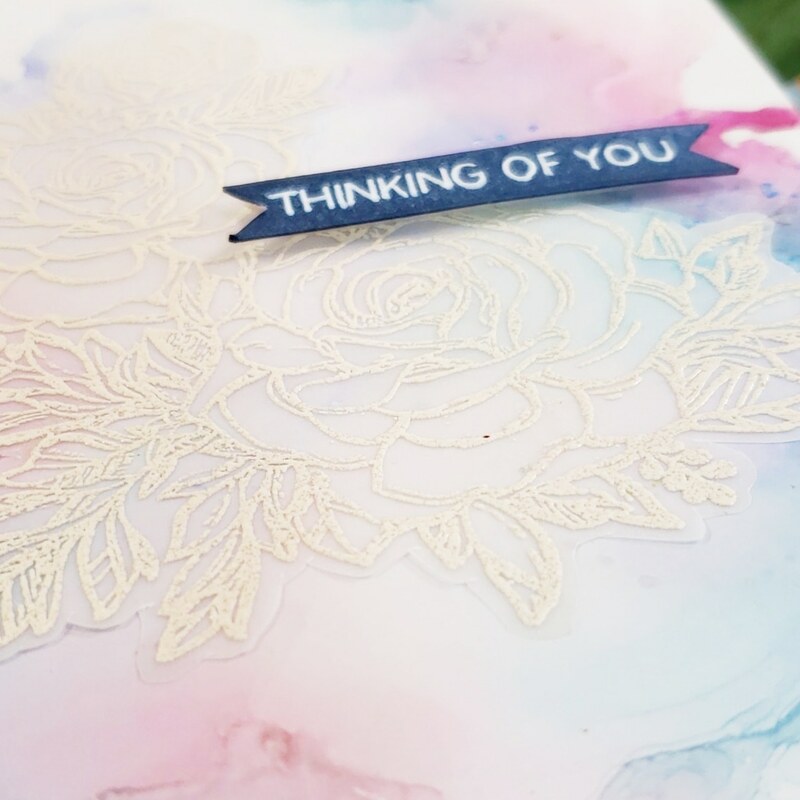 To finish off the card, I stamped a sentiment from the same stamp set in Juniper Mist ink and cut it out, then I glued it on to the card with foam tape on the back. Be sure to check out the rest of the inspirational creations from everyone else on the hop, 'cause you won't want to miss these projects!